Air Conditioning. If it’s not the most important invention known to man, it certainly might be the most important known to South Floridians. 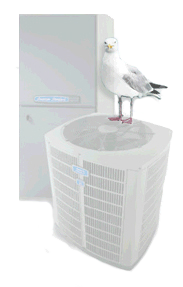 Sea Breeze Air Systems, Inc. keeps you in the cool. With over 40 years of experience, we pride ourselves on delivering prompt, honest service and our repair skills. If your system can be repaired, we’ll get it running again. We send technicians – not salesmen – to evaluate your system. As an educated consumer, you can make wise decisions. Family owned and operated by Terry and Nancy Cook, Sea Breeze Air Systems will maintain the system in your house as if it’s the system in our house. We share cost-saving tips and energy-saving advice. Member, Palm Beach Air Conditioning Contractors Association.